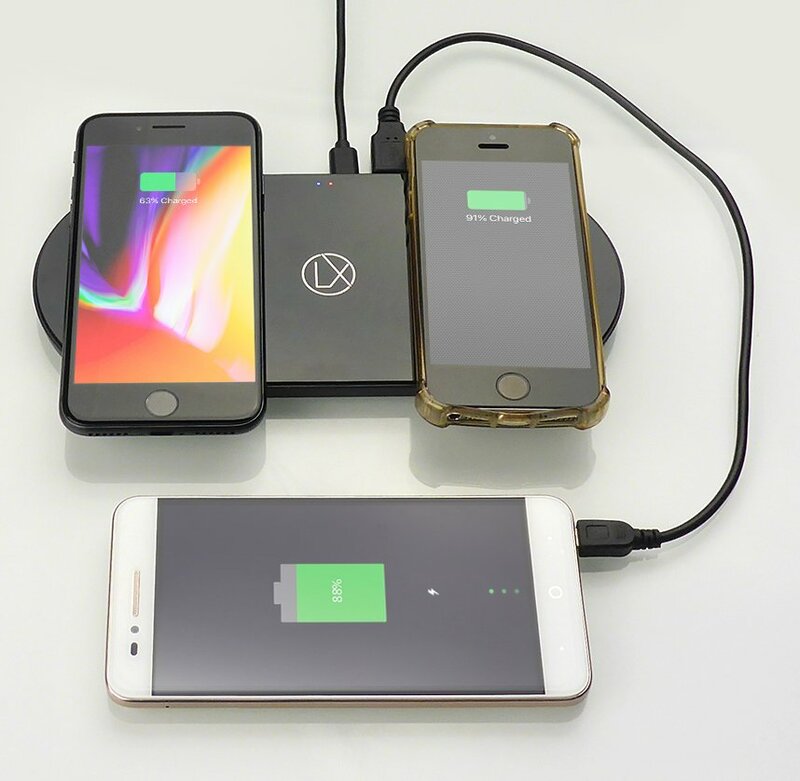 If you have started to use wireless charging, chances are you won't be using it on only one phone. 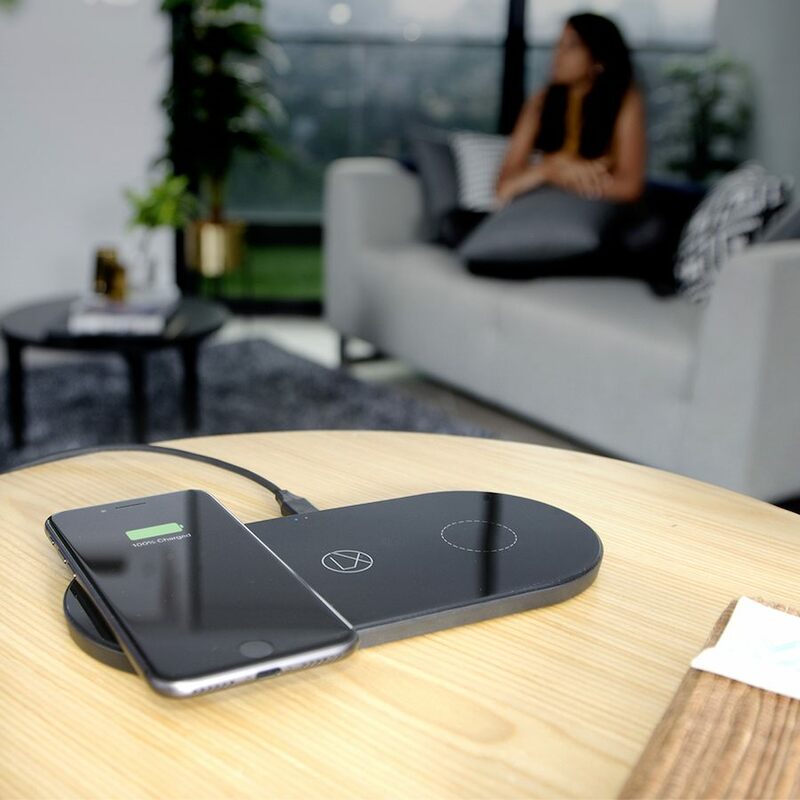 With this dual wireless charging pad you'll have a second charging spot ready for family and friends. 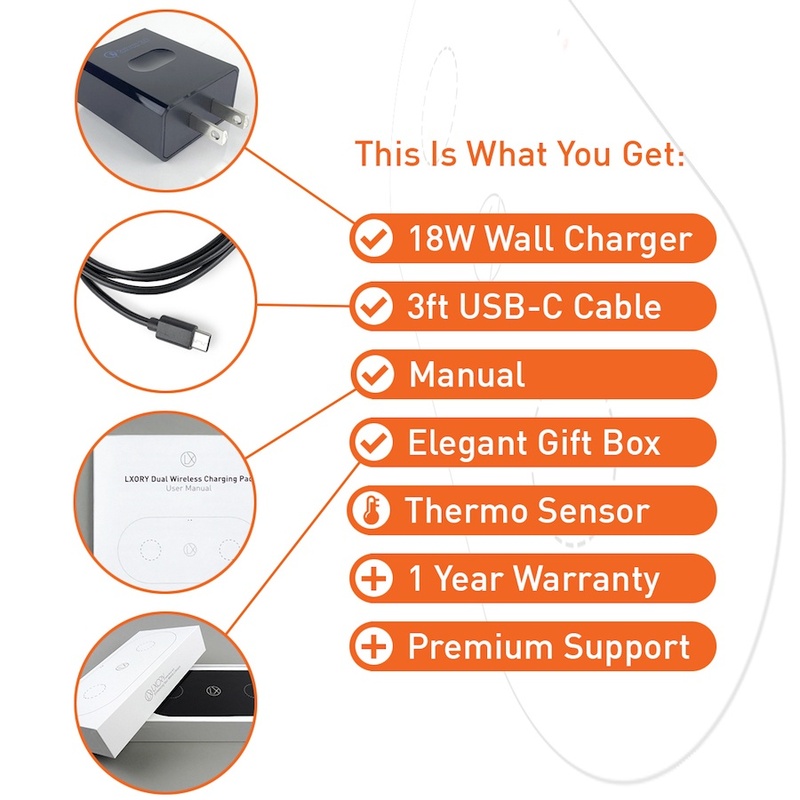 Back in stock: the new and improved version includes a 18W wall charger (US plug), is available in white colour and comes with 9W fast charging pads. Get yours here. 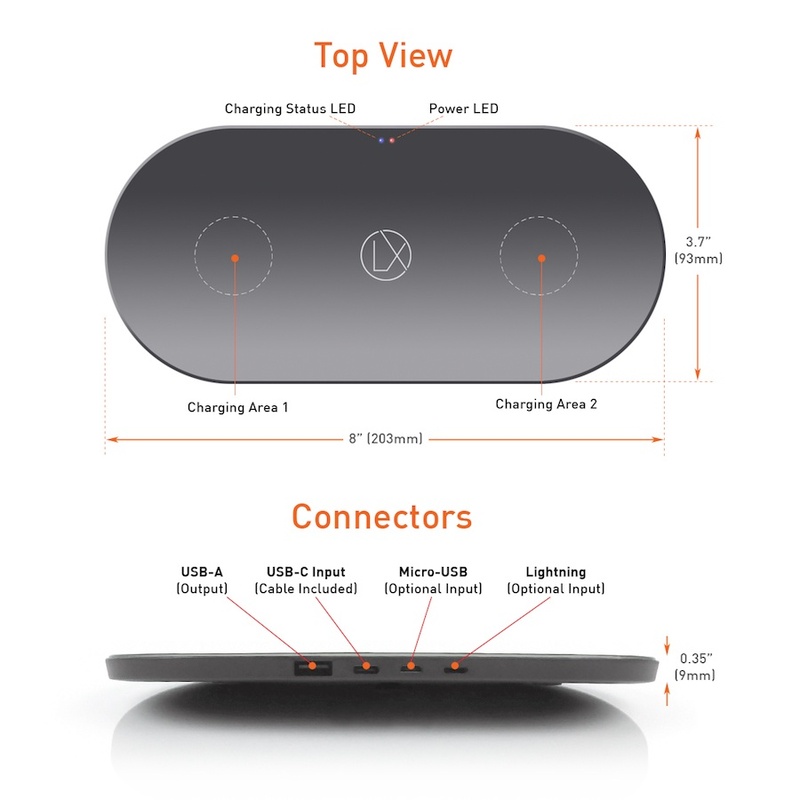 With the LXORY Dual Qi Charging Station, you can use wireless charging on two phones. And even charge a third one using the USB outlet. 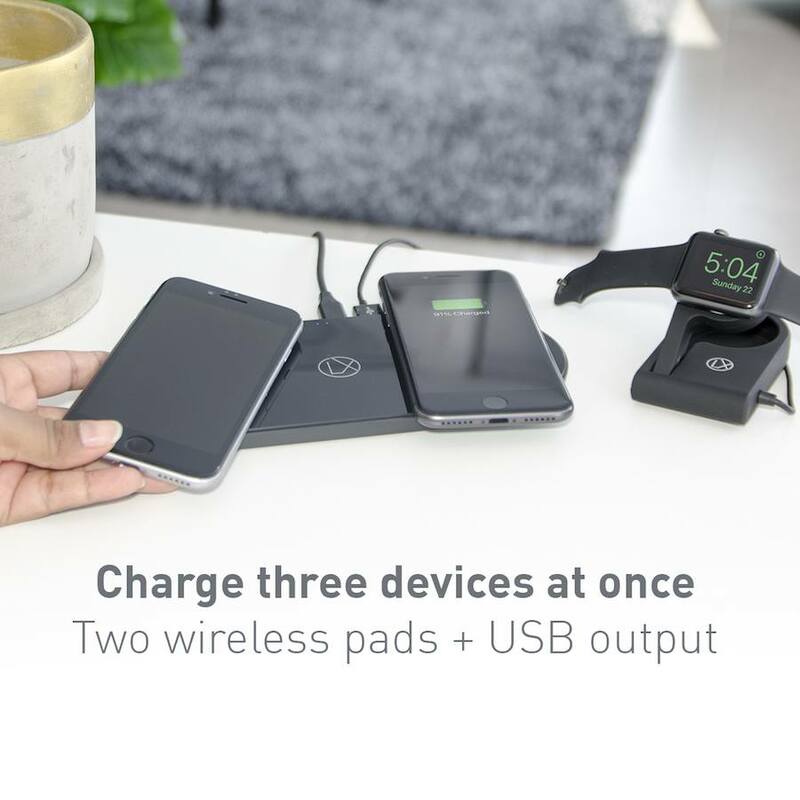 Just like having a double garage makes sense if you have two cars, our dual wireless charging pad is the smarter choice if you have or plan to have a second wireless charging ready phone. So you won't have to buy a second charger. Save money and desktop space by buying a two phone charging station right away. 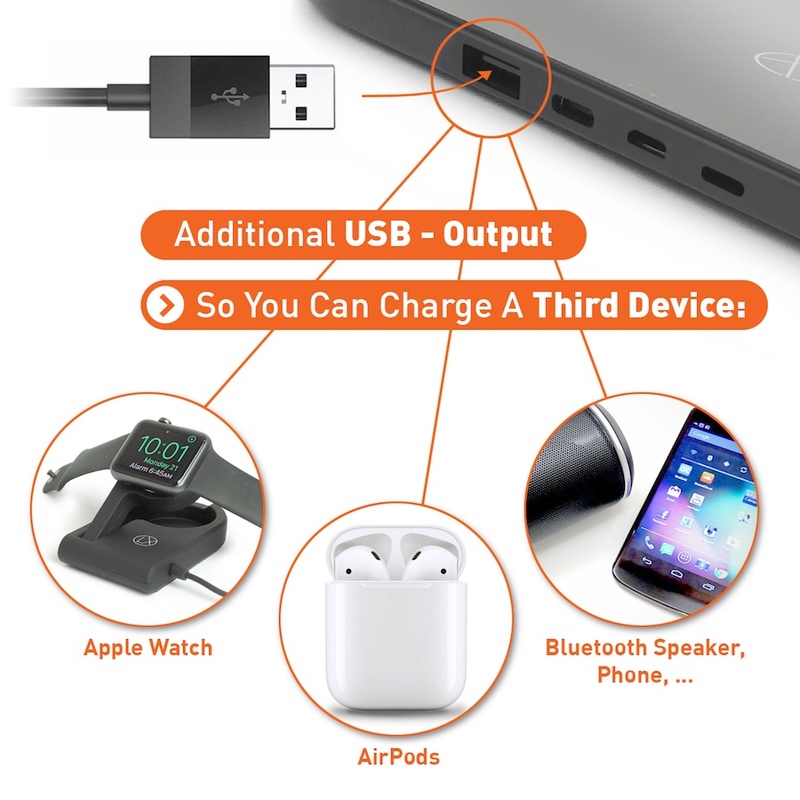 Charge up to three devices at once! 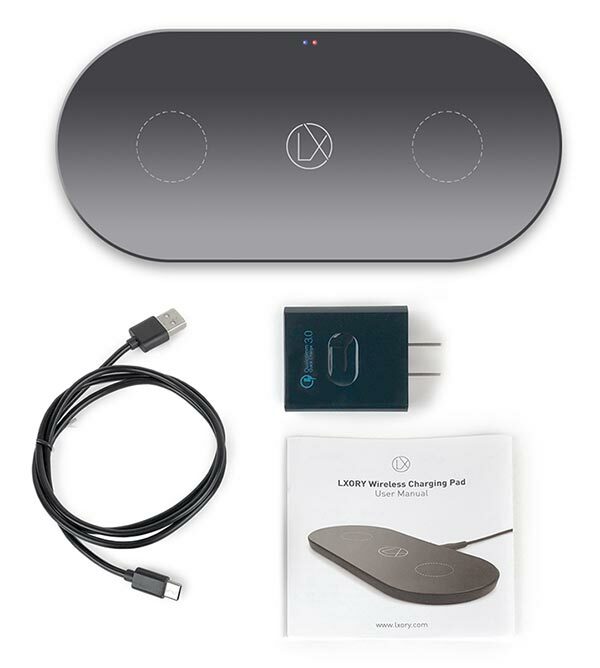 The LXORY Dual Wireless Charging Pad comes with two Qi charging pads and one USB power outlet so you can charge a third device using a USB cable of your preference. For example: you could connect your Apple Watch charging cable to it. 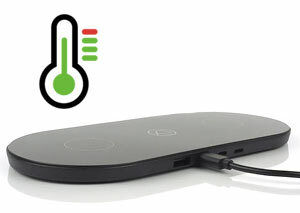 Wireless charging produces heat. Which is ok to a certain point. While some other chargers simply keep charging and expose your phone to potential heat damage, ours has a temperature sensor built in. Way before your phone gets too hot, our charging coil will shut off and protect your device. So you don't ever have to worry about your phone suffering heat damage. How Fast Does It Charge My Phone? 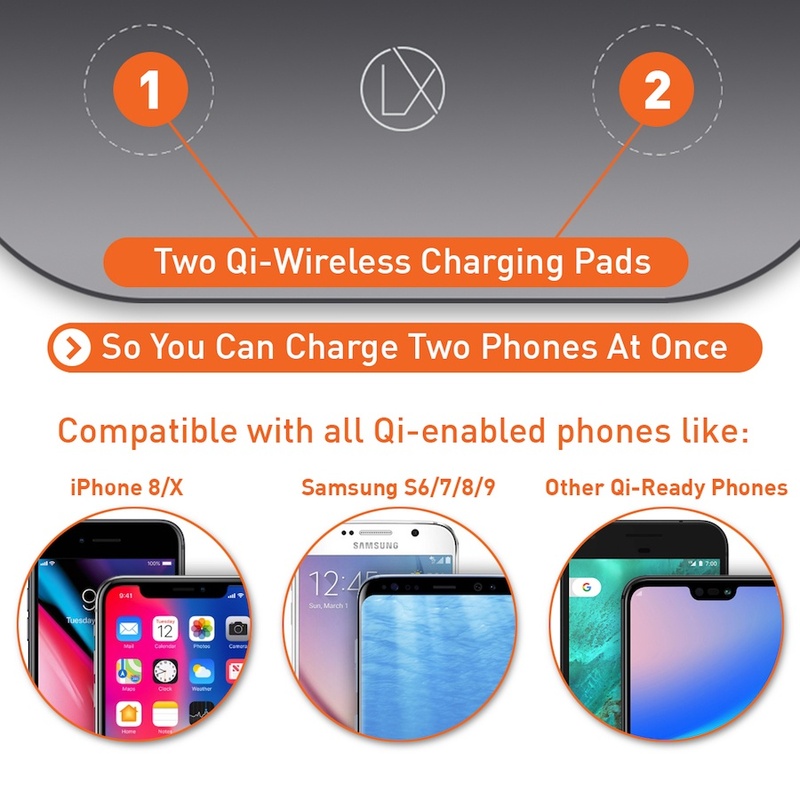 How long does it take to charge your phone using the Qi pad? We tested the charging process on an iPhone 8. Drained the battery until it shut down, switched it on and put it on the charging pad. 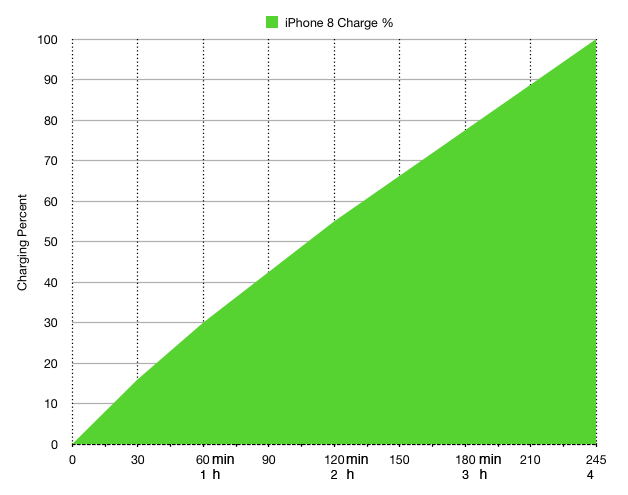 It took 245 minutes or 4 hours and 5 minutes to fully (100%) charge the battery. To get from 50% to 100% charge takes 2h 30min. 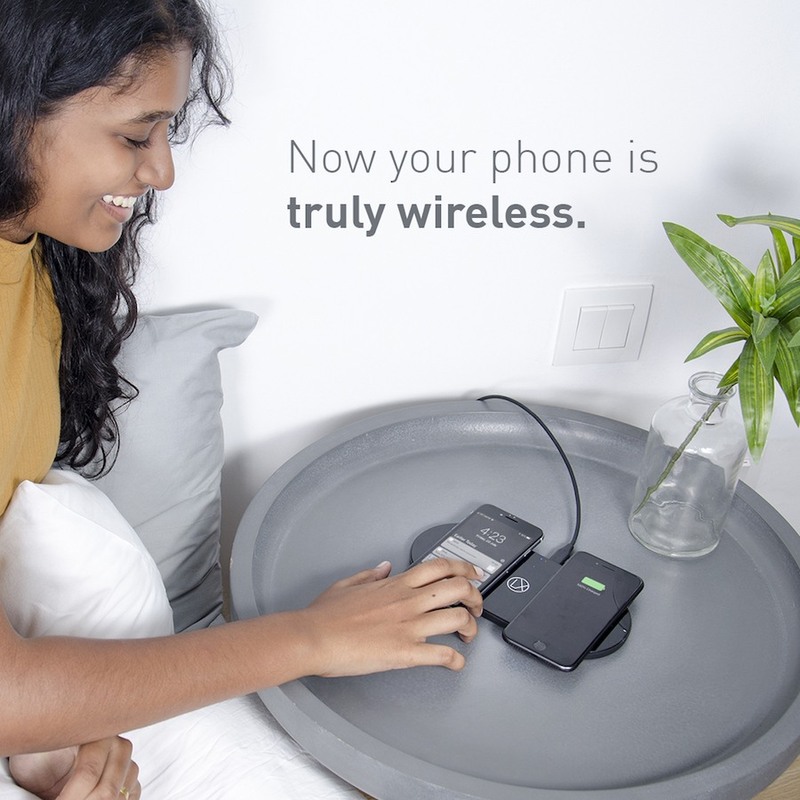 Wireless charging is different from conventional cable based charging. It's as easy as putting down your phone on a table. 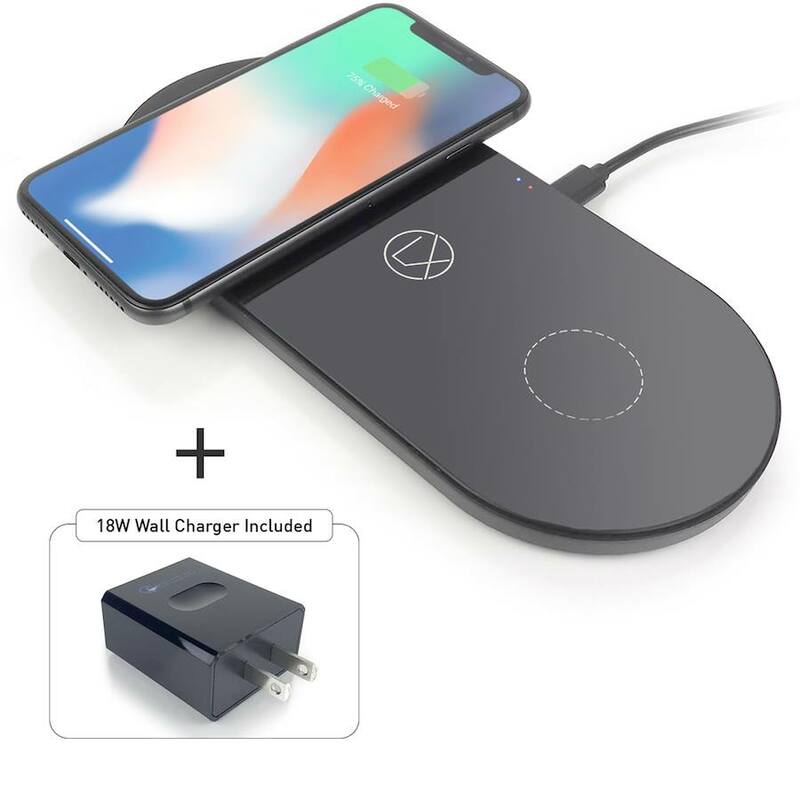 If you place your Qi charger where you spend most of your time (like office desk), your phone will be sitting on the charging pad all the time. Hence charging speed becomes a minor issue. - Place your Qi-enabled phone(s) on one of the transmitter pads - done. Your phone is now charging with 'no strings attached'. 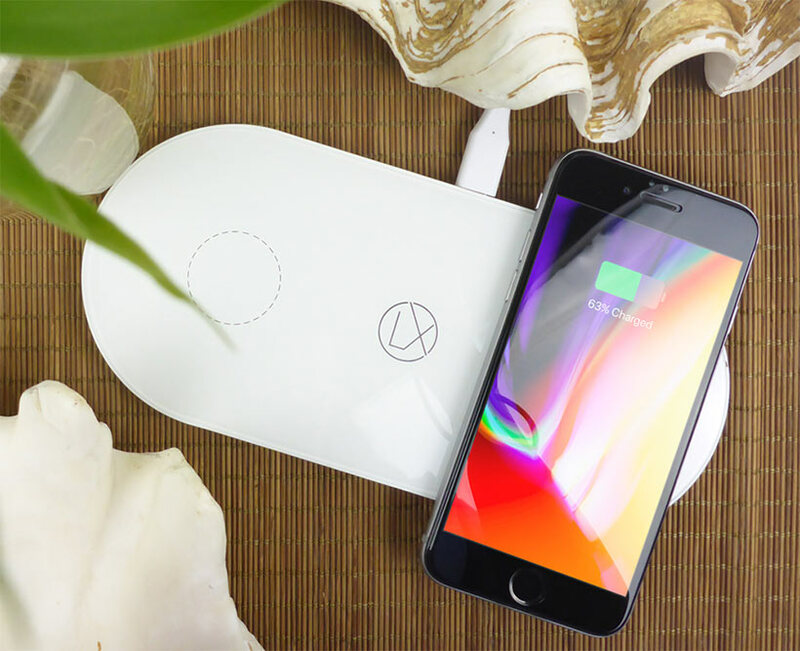 The dual wireless charging pad is only 9mm thick and 8” wide, this charger takes up a minimal amount of space and looks great on any counter or table top. It comes with anti-slip rubber feet and a USB charging cable. iPhone series 8 and X, Samsung series S6, S7 and S8, Google Nexus (4-7) and many others. 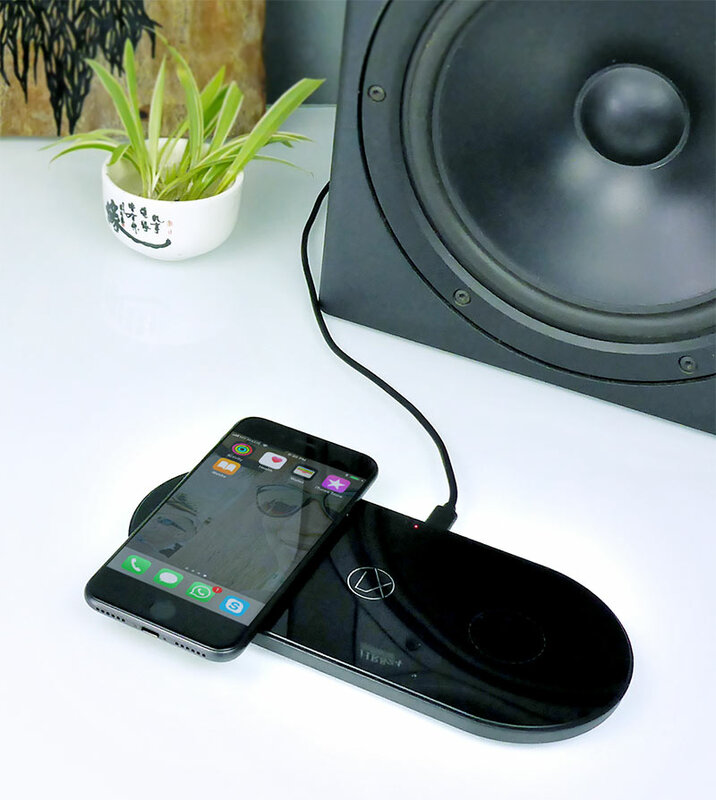 If your phone is not Qi wireless charging ready, you can upgrade it with an external receiver or receiver-case. 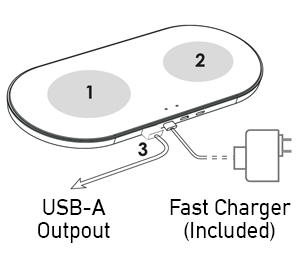 Learn more about wireless charging and Qi-ready phones in our wireless charging guide.